Imagine, it has been a long day of traveling and you are tired. You board the hotel shuttle bus anxious to get to your final destination. But instead of going to the hotel, you end up in the hospital because of a careless bus driver. While you are still in the hospital, the bus company, its investigators and lawyers are at the scene taking photos, interviewing witnesses and gathering crucial evidence. They are working with one purpose: to deny your claim. You need an ally on your side. 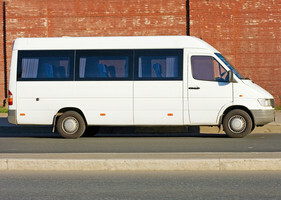 If you have been injured in a hotel shuttle bus accident, we can help you identify the proper defendants -- which might include the bus driver, another motorist, an unruly passenger, the bus company, an independent maintenance or repair company, the bus manufacturer or others. With more than 80 years of experience, our team of bus accident attorneys knows the law and regulations applicable to buses. With more than $100 million dollars recovered for our clients, we also know how to hold the at-fault parties responsible. We understand the devastating physical, emotional and financial burdens caused by bus accident injuries. We have a nurse on staff full-time to assist with medical issues and questions and, when appropriate, we hire qualified experts like life-care planners, vocational experts, economists and others who can explain to a jury your injuries and the impact they have had on your life. If you have been involved in a bus accident, call the Law Offices of John Day and let us fight for you. Contact us online or call us any time of day at 615-742-4880 or toll-free at 866.812.8787.